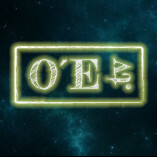 OVERDUB 'em TV – or OETV – is some kind of social media plattform for to promote not only, but mainly underground music. Rock, Hard Rock, Metal, Punk, Progressive – whatever you are searching for you'll find it here. The power of the united... underground community make us realize our idea, which is to promote austrian music through promoting international music.